Stew season has hit the Midwest. It’s bittersweet; love making stews, but that also means it’s getting real chilly outside. I rode my bike through a few flurries today and was in need of something a little hearty to warm me up. I didn’t have all day for a classic stew, so this quick sweet potato and black dish came together in less than an hour (wild rice takes about 45 minutes to cook). Wild rice has such an interesting, nutty flavor, and it brings a fun element to any dish and especially paired with the lime coconut milk. It’s a fairly simple dish that will fill you up and keep you happy and healthy. Step 1: Rinse the wild rice well. In a medium size sauce pan add 3 cups water and the rinsed wild rice. Cook according to package directions. Step 2: Start the coconut milk next. Add 2 cups water and 1 cup coconut flakes to the pan you will use to cook the stew. Heat the water—not boiling but just warm enough to soften the flakes. Pour into a blender and let steep. chopped onion. Cook until the onions soften, tossing often, about 3-5 minutes. Add in the garlic, ginger and sweet potato. Toss well and cook another 2 minutes. Step 4: Finish the coconut milk while the onions are cooking. Add the lime zest and juice to the blender. If you have a high-powered blender, blend on high about 1 minute to combine. Strain, reserving the pulp. You may need to blend a bit longer for a traditional blender. Step 5: Add the cooked black beans, salt, 1/2 cup of the lime coconut milk and the coconut pulp to the stew. 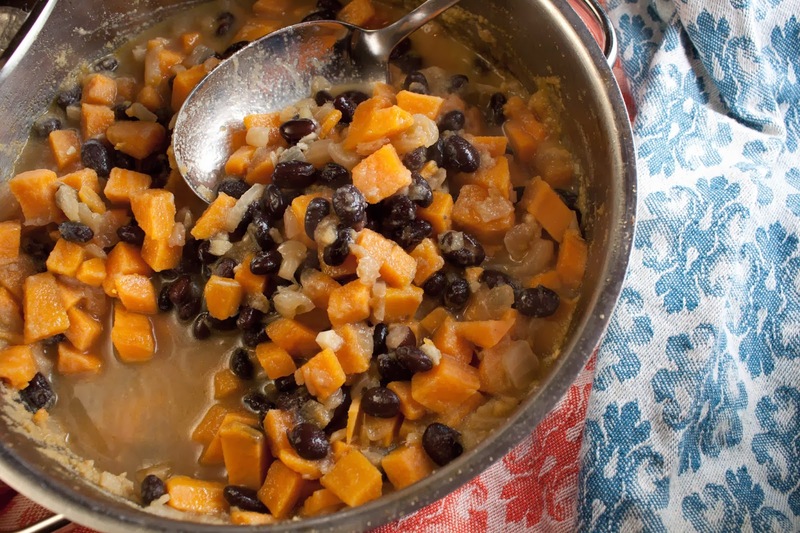 Cook until the sweet potatoes are tender but not mushy. If the pan is getting dry, add additional coconut milk. You want a little bit of “sauce” in the final product. Serve the stew over the wild rice. Add a few coconut flakes on top for a little fun. Enjoy! 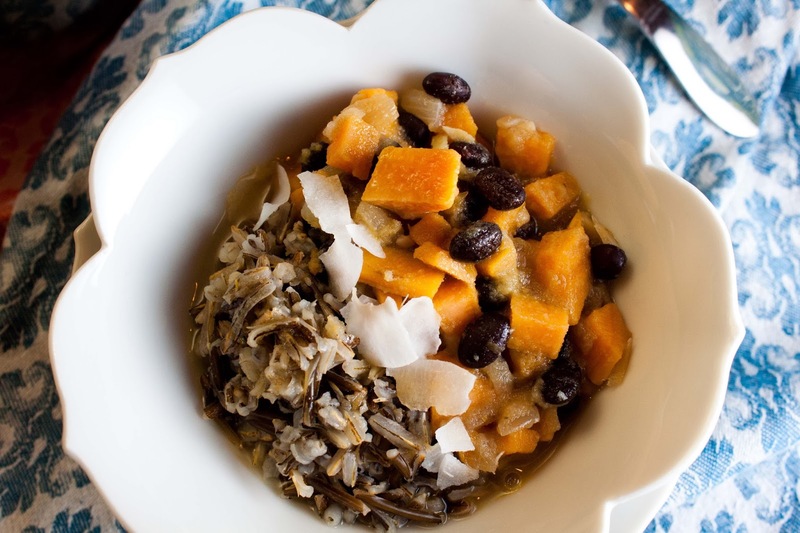 Happy Healthy Tips: Wild rice has more protein, fiber, iron and copper than brown rice.